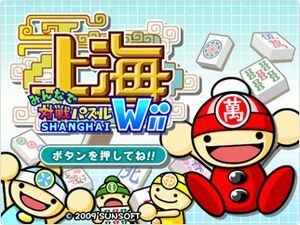 In Minna de Taisen Puzzle: Shanghai Wii (みんなで対戦パズル　上海Wii) is a Mahjong game. The graph below charts the compatibility with Minna de Taisen Puzzle: Shanghai Wii since Dolphin's 2.0 release, listing revisions only where a compatibility change occurred. This page was last edited on 4 March 2018, at 04:06.